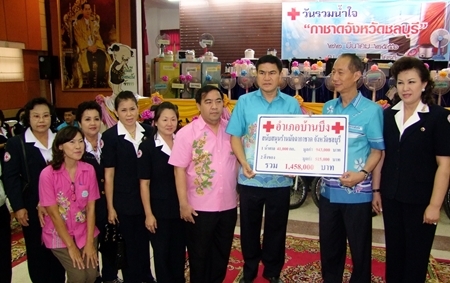 The Chonburi Red Cross opened the doors of its Matcha Charity Shop, which is collecting donations of cash and merchandise to hand out to the poor during Songkran. Chonburi Gov. Khomsan Ekachai officiated at the March 22 opening at the Chalerm Prakiat Pavilion as local residents and businesses lined up to donate goods to the charity shop. 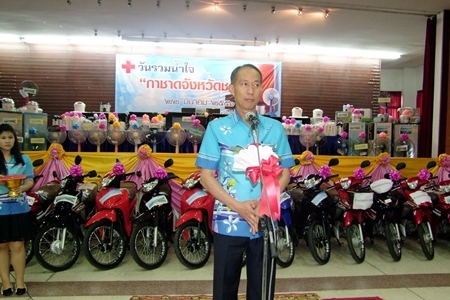 Red Cross Chairwoman Busrawadee Ekachai said during the province’s nine-day Songkran celebration, the Matcha shop will give out five motorbikes per day, as well as refrigerators, televisions, washing machines, fans, irons and other appliances. 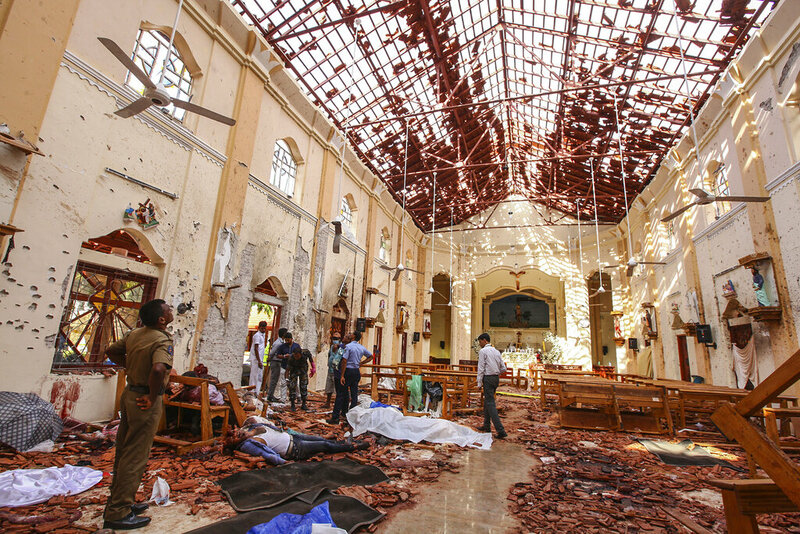 Smaller handouts include rice, oil, sugar and instant noodles. Chonburi Gov. 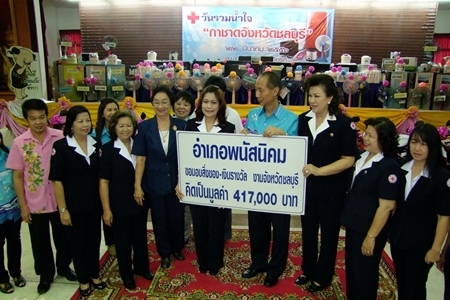 Khomsan Ekachai (center) and his wife Red Cross Chairwoman Busrawadee Ekachai (7th right), along with members of the Red Cross announce the giveaway. Cash collected will be used for blood drives, health promotion, disaster relief, bicycles for the poor, and scholarships. Khomsan said the Matcha shop is both a way to aid the needy in Chonburi and raise vital funds for the Red Cross and its mission.